Cuong Do is currently Executive Vice President, Corporate Strategy Group for Samsung and was formerly the Chief Strategy Officer for Merck, Tyco Electronics and Lenovo. He was a senior partner at McKinsey & Company, a leading management consulting firm, where he spent 17 years helping lead the firm’s healthcare, high technology and Corporate Finance practices. Cuong took a year off from corporate life (between his roles at Samsung and Merck) to create Identifor, the first digital tool that looks beyond standard measures of academic evaluation to systematically uncover an individual’s unique skills, abilities, and interests, then match that with relevant career options, setting students on a personal path to a fulfilling future. 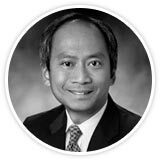 Cuong holds a Bachelor of Arts degree from Dartmouth College and a Master of Business Administration from the Tuck School of Business at Dartmouth. He serves on Autism Speaks’ board of directors and its Executive, Family Services, and Science Committees. He founded Profectum Foundation as a non-profit working to train clinicians and parents on working with autistic children. He currently or previously served on the boards of Celebrate the Children (school for children with special needs in New Jersey), Caring for Cambodia (non-profit working to establish the model schools for Cambodia); the National Youth Science Foundation, the Tuck MBA Advisory Board, and WuXi AppTec (leading pharmaceutical R&D outsourcing company). He was co-founder and Chairman of Callidus Biopharma (a biotech company working in rare diseases that was acquired by Amicus Therapeutics in 2013) and Lysodel Therapeutics (a biotech company exploring a novel approach to treat obesity).